Hello world from Bread for Haiti! Five years after the earthquake that devastated Haiti, there is still little reconstruction in Port-au-Prince, and most of the earthquake survivors have moved back into precarious homes. The country is still being ravaged by a cholera epidemic that began nine months after the earthquake and has killed nearly 9,000 people. People in Haiti are still faced daily extraordinary challenges in order to survive. They are also facing a food crisis that will affect three to five millions of them. 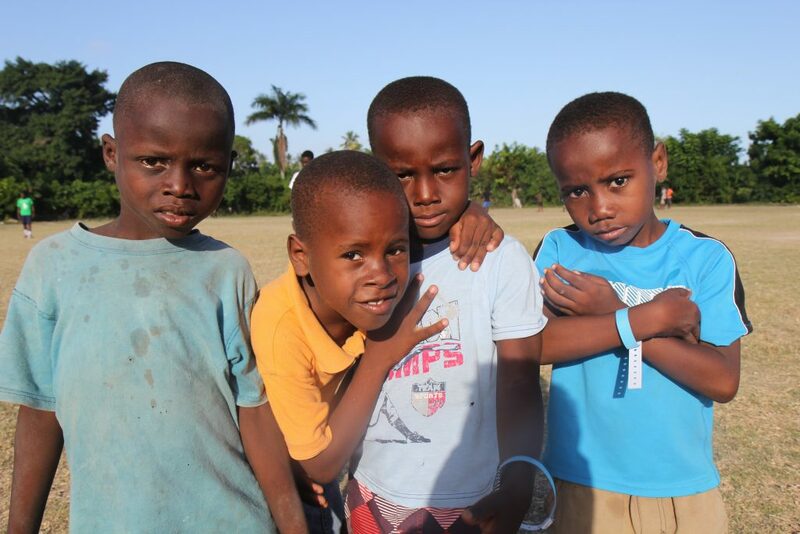 Your support allows “Bread for Haiti” to educateand feed children and serve hundreds of people annually. It is a well-known fact that happier people are people who are generous to others. “Bread for Haiti” believes that real change will come to Haiti through education. We use many ways to help Haitians. For example we have for the past 5 years taking yearly trips to Haiti where we distribute clothes and nutrition to needy children. However, we not only seek to give Haitians access to basic clothing, nutrition and health care through medical aid and missions. “Bread for Haiti” believes that “Educating a child” is the most effective way to help Haitians help themselves. We currently are sponsoring 100 children with school tuition but, the ultimate goal is to build a state of the art school and empower Haitians to create and sustain their own education system by investing in the education of children and employment of local educators. This year “Bread for Haiti” was able to provide schooling to few dozens of Haitians children who were abruptly deported from the Dominican Republic with literally no homes and no shoes. Bread for Haiti stepped up by enrolling these children in our sister school, but we also have plan to provide nutritional programs. On our fifth year anniversary, we have a lot to celebrate the shipment of 4 containers of school furniture, the soccer academy held with the participation of few Delta airlines employees. We are also celebrating 5 years of service and commitment to creating sustainable infrastructure in the education and healthcare sectors in Haiti. We need more to continue providing humanitarian assistance to those who find themselves destitute, stateless and without hope in Haiti. Thank you for your ongoing support of “Bread for Haiti”.